Whatever your requirement, we have a team of in house fully qualified graphic designers to deliver your projects. From business cards to letter headed paper and everything in between, we use the finest quality paper to deliver your stock. We don't just stop at printing, we have a team of delivery staff ready to distribute your menus, flyers and special offers. Be it online, offline, or in the press, we can help to promote your business. From leaflets to web design, our marketing staff can assist. Masterprint specialise in creative design, branding & print marketing. We are a professional team with wide experience and skills in the field of design and print. We create bespoke illustrations, business copywriting and impactful photography. We have developed trusted professional contacts over many years. We offer web design services and can confidently ensure a top quality service on budget to suit our varied range of existing businesses and all our future clients. We manage your every requirement from your office to the customers' front door. 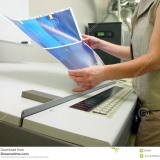 Masterprint – creates eye catching print marketing to help promote your business. 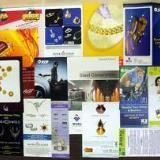 We deliver your business message to your potential customers by means of our distribution teams. To see what we have been up to, please take a look at our social media profiles.